The Grizzly Gazette did an interview with the NCHS pro officer, Pat Whitney and one of the counselors, Mrs. Dorsey on bullying. Officer Whitney and Mrs. Dorsey gave very similar answers in this interview and explained what would happen in a bullying situation here at Nicholas County High School. “Tell someone as soon as possible, whether it be a counselor, a teacher, the officer, tell someone, ” Mrs. Dorsey replied. “The first thing you should do is let someone know,” Officer Whitney said. “Let someone know or break it up,” Mrs. Dorsey explained. “Take action if you need to and tell someone as fast as possible,” Officer Whitney responded. Officer Whitney said “Mrs. Rapp or Ms. King will deal with it, and they will receive the proper punishment. 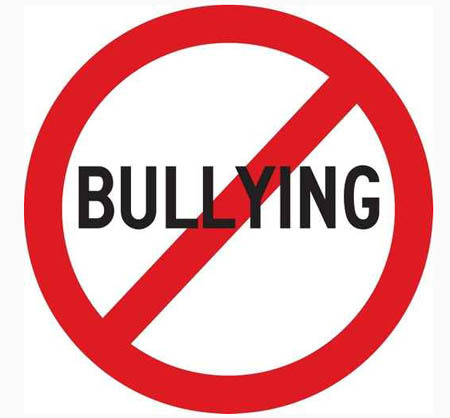 If you are a student here at Nicholas County High School, and you are being bullied, tell someone, whether it be a teacher, a principal, or a parent. The sooner the school is notified, the sooner the situation can be corrected.